Photography is a really popular hobby, especially now that most smartphone cameras are just as good as many DSLRs on the market. It’s a great pastime that people can dip into whenever they want – all they need to do is pull out their phone from their pocket whenever they see something that captures their eye. Then, with the help of a few filters and digital edits, they can make their image look even better. 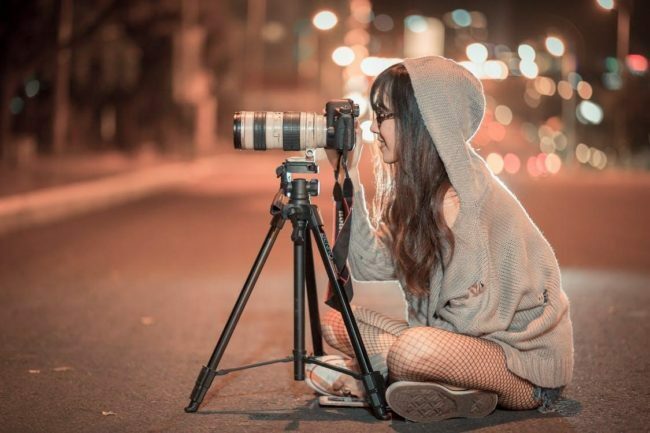 So, there is no wonder why there are so many amateur photographers out there these days! Do you think that you are now ready to progress from your smartphone pics and move onto the next level? It’s remarkably easy to do once you know a few tricks of the trade. Read on to find out more! First of all, you need to think about what kind of niche you are going to go into. There are so many different types of photography, and it’s always a good idea to just specialize in one until you are proficient in it. For instance, you might want to work in portraiture or you prefer the idea of taking some landscape pictures. Whichever you decide will help you choose the best camera and lenses for your photos. For instance, you will need completely different lenses for shooting sports pictures and landscape shots. Before you get started, think about investing in a camera. If you want to move away from smartphone photography, you will need to buy a proper camera. Even though there are some exceptional smartphone cameras out there, you just won’t be able to beat the best DSLRs. So, why not take a look at the best Nikon COOLPIX camera and a few other types to try and find the best one for you. Of course, the price will be a big factor when making your decision. As well as a camera, you should consider buying some other important equipment like a tripod and different lenses – they will all go a long way in improving your photography skills! You’ll also need to consider the idea of equipment if you are also interested in film photography too. If this is the route you are planning on going down, you might want to look into something like the Top 10 Best 35mm Film Scanners & Adapters (Reviews), to give you a heads start into fining the best pieces of equipment to cater to your photography needs. Photography can become quite an expensive hobby, but if this is something you are willing to invest your time in, then it is definitely worth it. The next thing to remember is that you always need to work in good light. Ideally, you should shoot your photos in as much natural light as possible. If that isn’t always possible, there are some pieces of equipment that you can buy which will help improve things. For instance, a flash, some diffusers, and reflectors will help you take better photos in dim settings. Taking the pictures is only half of the work. In actual fact, most photographers will very keenly tell you that they spend the majority of their time editing their photos in post-production. So, it’s really important that you invest in a good quality photo editing software, such as Adobe Photoshop. This will help your photos go from good to great! So, why not try your hand at some photography now? You’ll find it’s a very rewarding hobby and past time indeed! Yes to good equipment and lighting!! Both are key in taking amazing photos!! Also, storage for images and always shoot in raw when you can. It leaves the editing possibilities endless!! I’ve always loved photography and you’ll find me taking photos of whatever. I followed the link that you posted for good photo editing software which led me to another page for the best free photo editing downloads. I’m currently downloading the program GIMP. I can’t wait to try it out. Great article!